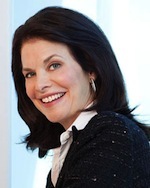 Sherry Lansing is the Founder of The Sherry Lansing Foundation. She is the former Chairman and CEO of Paramount Pictures Motion Picture Group, a position she held for twelve years. Prior to that, she headed her own production company. She served as Chairman of the Regents from July 2011 to June 2013. Ms. Lansing holds a bachelor of science degree from Northwestern University. She sits on the board of directors of The Carter Center, Teach for America, The American Association for Cancer Research, Friends of Cancer Research, and the Lasker Foundation. In 2005, Ms. Lansing was appointed to the Independent Citizens' Oversight Committee, the governing body of The California Institute for Regenerative Medicine. She has served on the board of trustees of Scripps College, the board of Independent Colleges of Southern California, the board of the UCLA Foundation, and the executive committee of the Dean's advisory board of the UCLA School of Theater, Film and Television. Ms. Lansing was appointed as Regent in March 1999 by Governor Davis to a term expiring in 2010; she was re-appointed in 2010 by Governor Schwarzenegger to a term expiring in 2022.